After returning from Christmas break, the 5th Grade art students began work on a new painting. 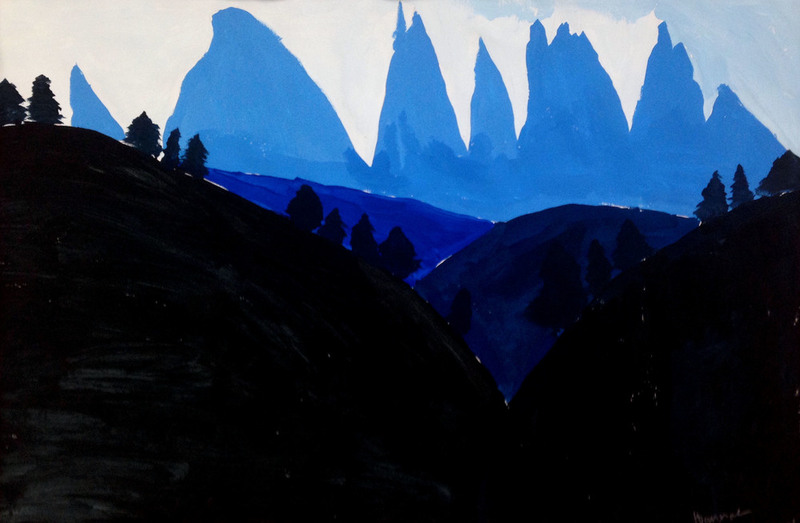 Students used a monochromatic color scheme to paint a mountain range. Each student selected a base color and then tinted the color with white, or shaded the color with black. Students tried to to capture a sense of depth in their work with distant objects appearing more pale and closer objects darker. This concept is known as aerial perspective.